“No Fenke Fenke” is the first original production from noted Jamaican selector Yaadcore, and the second release on Delicious Vinyl Island, the new Caribbean music label from L.A.’s legendary Delicious Vinyl. 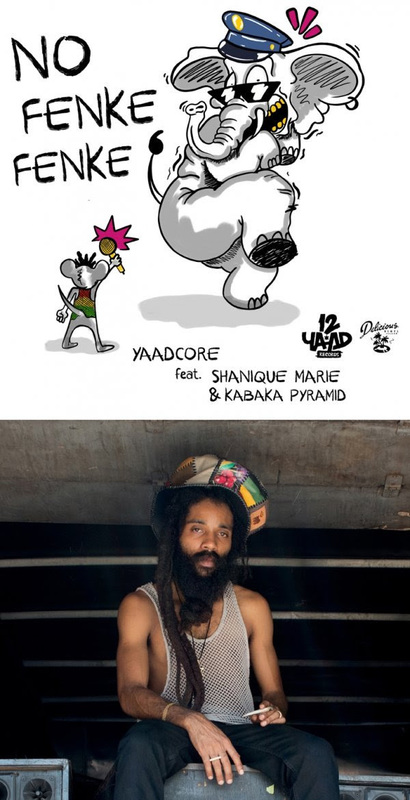 A joint release with Yaadcore’s own 12 Yaad Records, the tune features Ghetto Youths recording artist Kabaka Pyramid and Shanique Marie (of the Equiknoxx Music camp) trading lyrics over a modern twist on classic reggae sounds. “No Fenke Fenke” is an old-time Jamaican admonition, meaning “no stupidness,” and that’s just what you get with this authentic slice of rub-a-dub niceness. Yaadcore is already a hero of Jamaica’s reggae revival thanks to his mystical Dubwise Jamaica sessions and Reggae Aroma mixtape series; With his debut single, he adds another dimension to his repertoire.